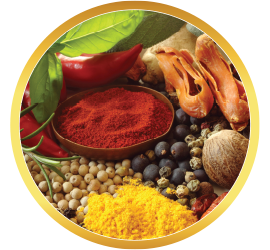 The herb thyme boasts a lengthy and colorful history, filled with rich lore, and powerful anecdotes. 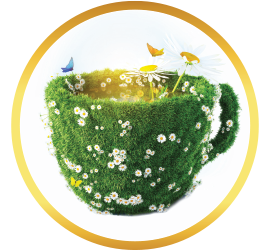 Today, our Organic Thyme Leaf Tea offers a refreshing aroma, and a soothing flavor that continues to elevate its reputation amongst herbal tea drinkers everywhere. Part of the mint family, and a relative of oregano, thyme earned a reputation in ancient times as a powerful plant, able to accomplish everything from providing courage to warriors, a substance for ancient Egyptians with which to embalm, a purification tool for Romans, and when stashed under one’s pillow, it was used as a sleep aid. Burned as incense, thyme was even utilized as an aid to carry one’s spirit into the next life. Another interesting fact: before antibiotics were developed, thyme was added when dressing wounds. Today of course, thyme is best known as a culinary ingredient. A perennial, heat- and sun-loving plant, this delightfully grounded herb prefers its soil well drained, and couldn’t care less if it doesn’t rain for long stretches. 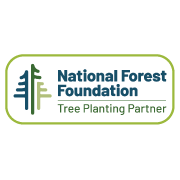 With such a rich history to learn from, one might question why we’ve become so dependent on lab-made pharmaceuticals for what back then commonly called for backyard plants. 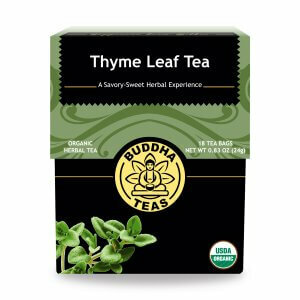 Buddha Teas Thyme Leaf Tea offers an opportunity to explore what this ancient herb has to contribute. What does Buddha Teas Thyme Tea Taste Like? The first thing you must do prior to taking a sip of our Thyme Leaf Tea is appreciate the gorgeous amber tint, like the translucent gemstone made from tree resin. 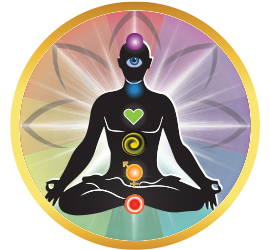 Visually elevating, your experience begins with the eyes. After seeing this liquid gold, then you can move ahead to smelling it, which will impress you as both subtle and potent, if that’s even possible. In alignment with its scent, the taste of Buddha Teas Thyme Leaf Tea carries you back to a place in time as you take a humble seat at a well-worn table awaiting supper service. The flavor impresses as mellow, herb-like, soothing, savory. Caffeine-free, this tea can (and should!) be enjoyed throughout the day. 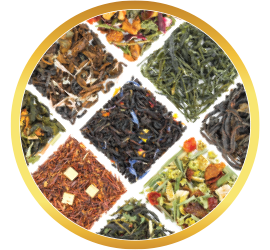 Buddha Teas Thyme Leaf Tea needs a good boil and decently long steep, 4-8 minutes, to extract its full flavor and optimum benefits. We like to cover our cups while steeping as well. I was introduced to this style tea while working in the Middle East. The Haris in the building I lived in drank the Zatar tea and offered me a cup. I was hooked. 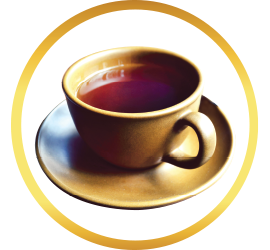 I have a cup of Buddha Thyme tea every morning and it has certainly given me some relief from the ongoing pain. 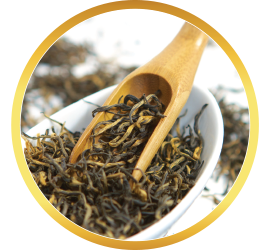 It has a nice mild taste and it's good for so many health issues. I really love this tea, it's amazing for any sort of respiratory issue. 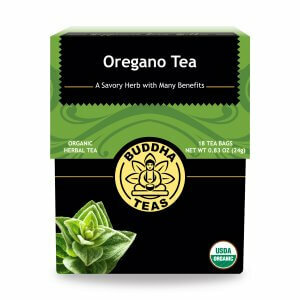 I have been using it for years, and recently switched to using Buddha Teas, which I find to be highly aromatic, and very potent. I recommend this tea to anyone with respiratory issues and to use this also as part of a regular regime for winter tea use. Review Title: Thyme for brunch! 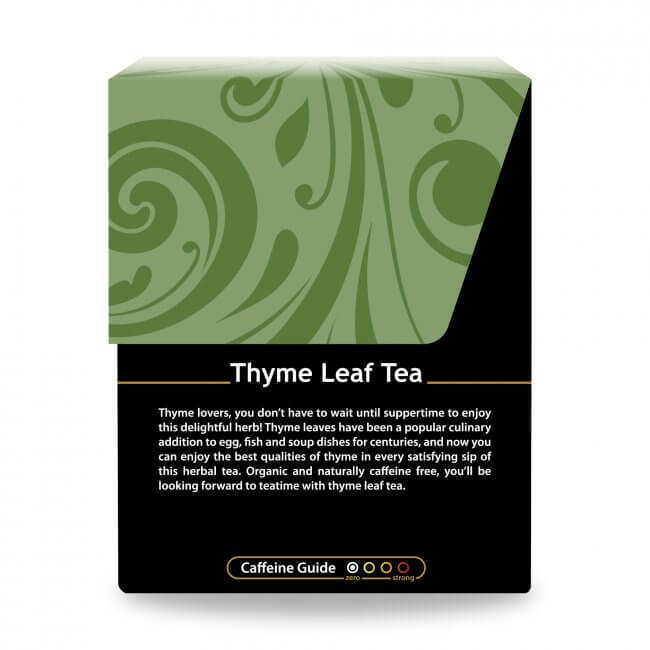 Thyme is a new tea for me; this one is a perfect compliment to brunch! 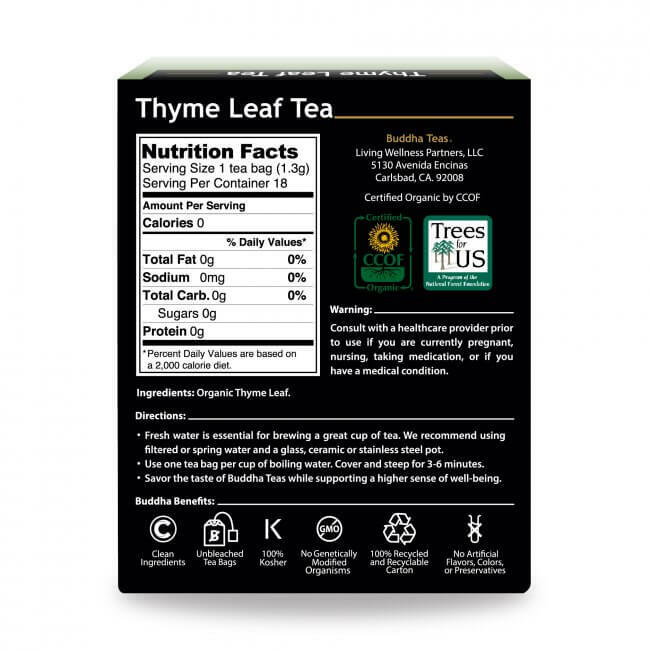 Review Title: I like this thyme tea! 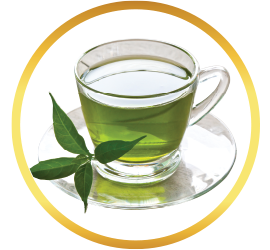 Ever since reading an article on-line about the anti-inflammatory benefits of thyme I'd been brewing a cup of fresh Thyme Tea nightly. I live where the temps are down in the mid-20's in November. No more readily available fresh thyme. 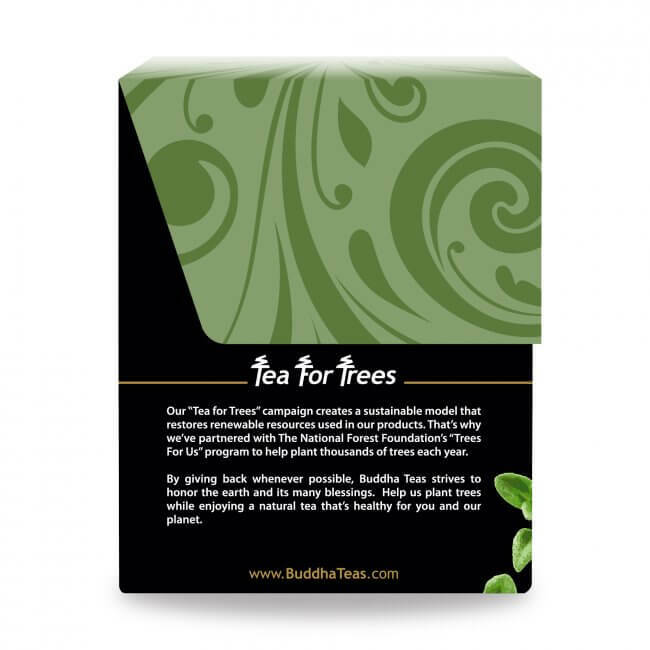 I found Buddah Teas and ordered. 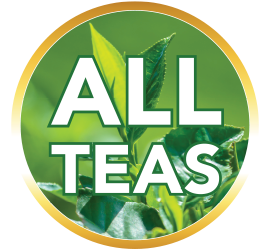 Delighted with the flavor and quality of this tea! Review Title: Help relief allergy symptoms. I just tried this product and can see the improving results. Review Title: My good friend loved it! Review Title: Good for you, too! A Nurse Practicioner friend of mine told me of the medicianl qualities of Thyme tea for the airways! After a week or two, I'm happy to say, "She's right!"